PACK & SEND offer a comprehensive international shipping to and from India. The dedicated team at PACK& SEND will strive to find you the cheapest solution to ship your goods to India. 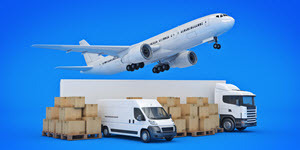 Are you having problems finding an affordable and easy way to deliver your goods? PACK & SEND have a ‘No Limits’ approach meaning you get the best solution no matter the time and type of goods. With an extensive global network, PACK & SEND are able to deliver your goods to a range of locations throughout India including Mumbai, Delhi, Kolkata, Chennai, Bangalore and more. Need to import goods back to Australia? PACK & SEND can offer the right solution for you. Both individuals and business can enjoy a tailored service at great prices. With both air freight and sea freight, you choose what fits your needs. Minimise your stress with PACK & SEND.